Saint Ann School utilizes a parent communication resource called RenWeb. RenWeb allows parents an opportunity to stay up-to-date on classroom assignments, homework, and student grades. In addition to grades, you can view resource documents (archived Tidbits, flyers, forms, menus. etc), check the calendar dates, see announcements and update your family information. Teacher utilize RenWeb to email parents and updates on school closings and upcoming events are also communicated through RenWeb. We advise all parents to create an account as soon as they enroll at Saint Ann School. 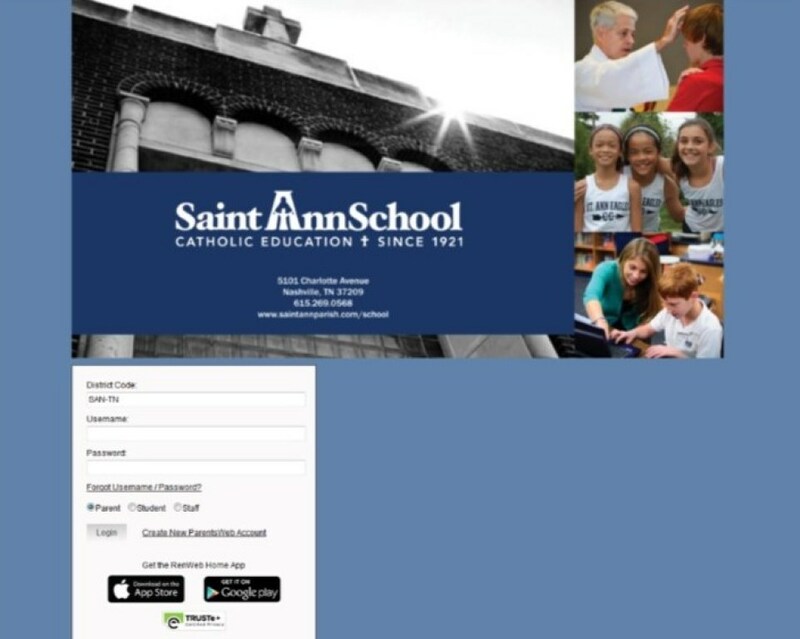 Saint Ann School uses RenWeb as the main communication source; please be sure to create an account. If you have trouble logging in, please contact Kelly Braniff at kelly@stannnash.org or Krystal Johnson at krystal@stannnash.org.